The word 'Naz' in the Iranian vocabulary signifies glory, elegance, young or pride, and the word 'Khatun' is a female title of nobility and alternative to male Khan (Wikipedia). Naz Khatun is a condiment but not aged like torshi. It is prepared with grilled eggplant (aubergine), herbs and verjuice. Traditionally, in Babol it is served with brown lentile rice and fried eggs in summer months when eggplants are in season. However, different variations of it are made in other parts of the country such as; the addition of walnuts, pomegranate paste, unsweetened pomegranate juice or golpar-namak. The eggplants are grilled whole on the stove (or charcoal), once fully grilled the skin is removed and the soft eggplant is mashed with a knife on a chopping board. It is so common to hear this noise when one walks past homes around lunch or dinner time. 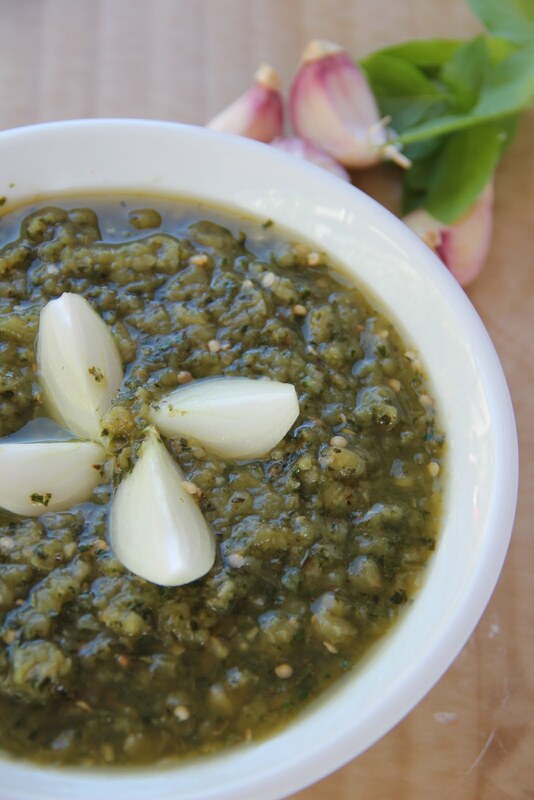 To the mashed eggplant then a herb and garlic paste is added with enough verjuice to make a thick soup consistency. 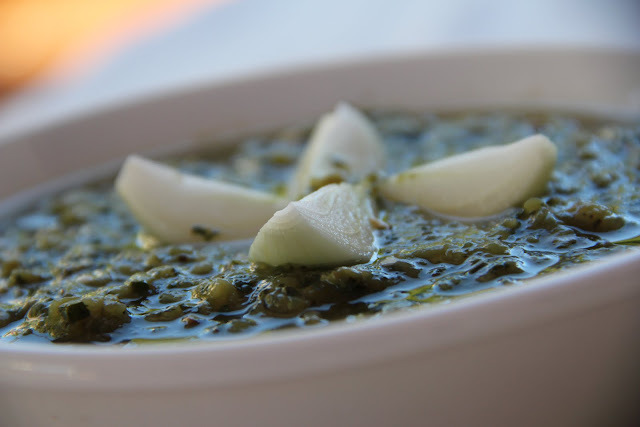 Raw onions are chopped and placed in naz khatun made of verjuice to reduce its bitterness before serving. Grill one large eggplant on the stove until the skin is completely burnt. Place the eggplant in a bowl and cover with clingfilm. This makes it easier to peel it later. Once cool, peel the eggplant and place it on a chopping board. With a kitchen knife, blade facing the board, mash the eggplant. Place in a bowl. Add the herb paste and verjuice. Salt and pepper to season. It is best to refrigerate for at least 30 minutes to let the eggplant soak in verjuice. 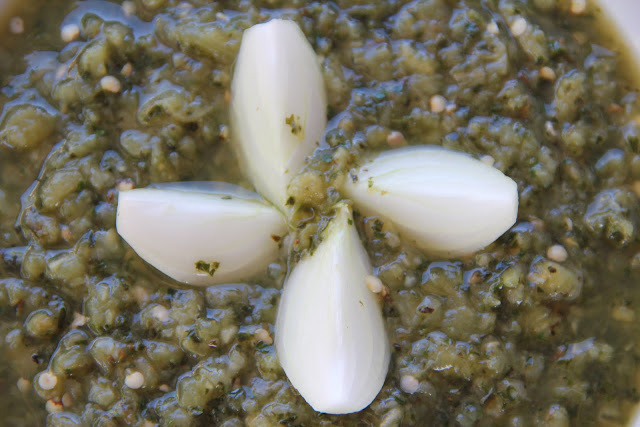 You can still use the same old method of grinding the herbs and garlic with a stone in a back and forth motion on a chopping board, but now there is an easier way of making herb pastes. In a food processor bowl, place half quantities of basil and parsley. Add a few cloves of garlic and process until it turns into a paste. Alternatively, using an electric mincer is a better option as the herb pastes will not have strings left over in them.